Tilal Complex Phase 3 can be considered as the pulsating area of activities. It plays a significant role to show to the societies and foreigners all over the world about the heritage of Oman since thousands of years ago. Tilal Complex Phase 3 is an overseas work by Airmas Asri. It is located in Muscat which is the seat of Oman’s government and has a long maritime history. 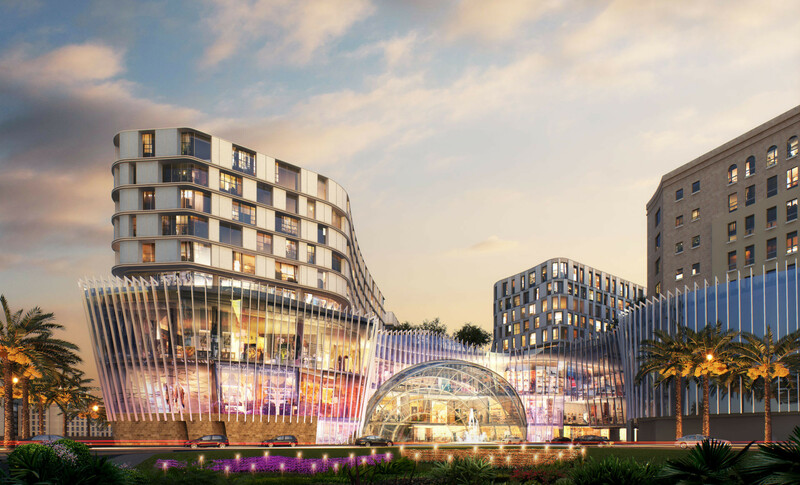 The project is a mixed use one, in fact, the first of its kind in the sultanate consisting of a shopping mall, office spaces and an apartment with an open space on the podium level. 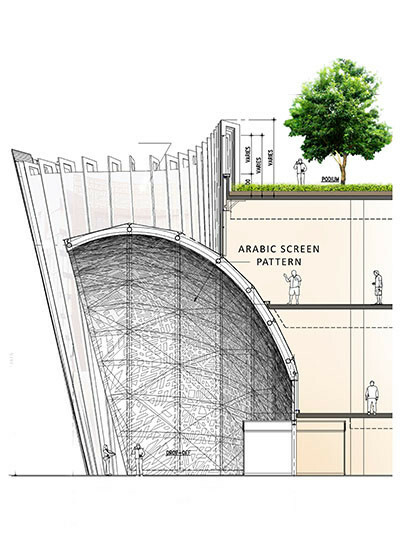 There is an effort in the design to seek for Oman’s uniqueness. Such uniqueness becomes the trigger to conceive the design. Tilal Complex Phase 3 shows a reference to pearl (Oman’s traditional commodity), wave and dow (traditional boat). This would be implemented and transformed into the design. The site’s climate is also an aspect to be considered. One could find in Muscat typologies which have been there for centuries. There is also a rule which limits buildings’ heights, so they will not be taller than the height of Sultan Qaboos Mosque. Rectangular structures are placed close to each other so that shadows will be formed on the street level; thus, protecting passersby and dwellers from the heat. In the case of Tilal Complex Phase 3, the open plaza on the podium level is a new type for Muscat as spacious plazas are usually found only in court or ceremonial settings. 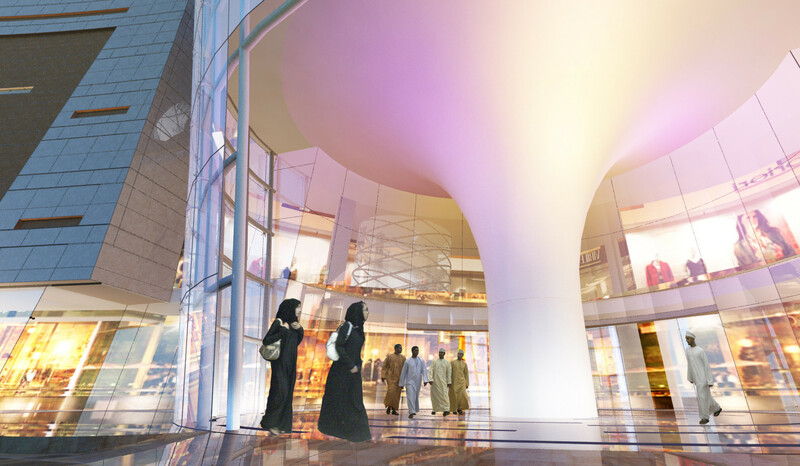 The shopping mall is conceived as a family mall with zoning and spatial organization based on Oman’s local values. Surrounding buildings and users spatial needs are also well-considered herewith. Lewis Mumford proposed that locality is not just about history of a given place. It is also about responses to people’s needs. Considering this view, responding to local needs also requires the use of sustainable technology that fits local condition. Locality is also about forming new tradition. 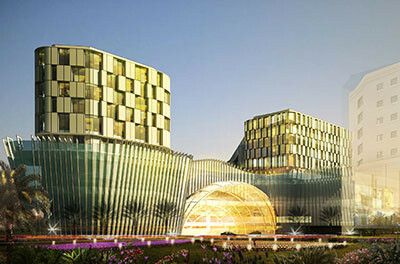 Contextuality, user-oriented tendency and contemporary design make Tilal Complex Phase 3 as a new icon in Oman. It is an attempt to combine the local and the global with something which may remind one with critical regionalism.